ASTANA -- Tajik President Emomali Rahmon during a phone conversation Friday (March 22) congratulated Kassym-Jomart Tokayev on becoming the interim president of Kazakhstan and wished him success, according to the Kazakh presidential press office. Tokayev thanked his Tajik counterpart for the warm congratulations and expressed confidence in the further development of Kazakh-Tajik relations. The two leaders extended Nawruz holiday greetings to each other. 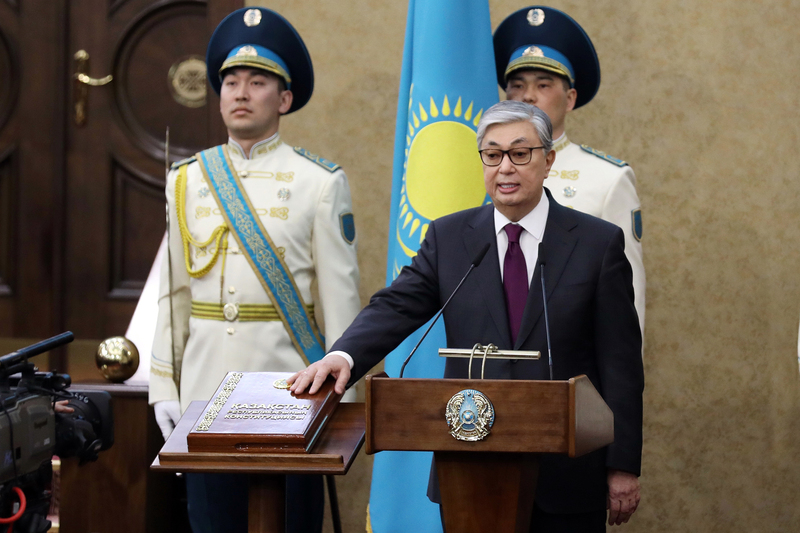 Tokayev was sworn in as interim president Wednesday (March 20), one day after long-time Kazakh ruler Nursultan Nazarbayev's shock resignation. Former President Nursultan Nazarbayev and his daughter will remain prominent in Kazakh politics, and the capital Astana is being renamed 'Nursultan' after the former president.